Of the Kenepuru and Pelorus Sounds. 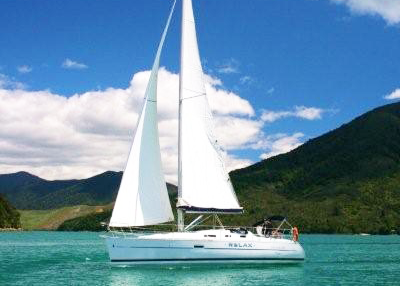 Sounds by Sail is a boutique yacht charter company dedicated to providing you with a wonderful and exhilarating sailing experience in the beautiful Marlborough Sounds at the top of the South Island of New Zealand. Within the labyrinth of waterways there are many secluded bays and inlets to explore from the comfort of our luxury 32ft Beneteau yacht. Whether you've been sailing for years, or are a first timer, we can arrange the ideal sailing experience to suit your budget and time frame. Both skippered and self-drive charters available. Join us for a 3 hour sailing adventure exploring the magic of the Kenepuru and Pelorus Sounds. Step aboard our luxury "Beneteau" yacht and become part of the crew or sit back and enjoy the exhilaration of sailing within the back drop of this stunning waterway. For the ultimate romantic getaway, or that very special occasion: Engagement, anniversary, birthday, wedding or just because you want to spoil yourself. Our luxury night afloat will treat you to a private, skippered 2 hour sail after which your yacht will be moored in a secluded bay. 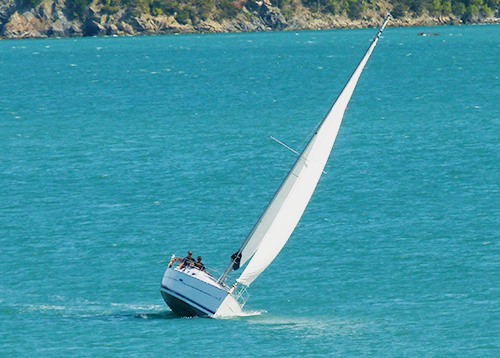 Skipper your yacht for multiple days , and explore the magic of the Marlborough Sounds at your own pace. With plenty of safe anchorages to spend the nights, you can relax as the sun goes down and enjoy the comforts of your luxury vessel. Thanks Phil, just a fabulous afternoon. Really appreciated, absolutely professional, excellent hospitality, incredibly friendly, well organised. Just a superb experience. 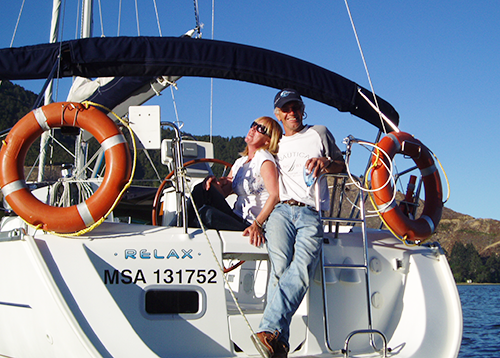 "We had the most amazing experience sailing on our trip to NZ back in March. Phil was the nicest guy we have ever come across. The 3 hours sailing trip was the perfect way to see the sounds. It was also our first time sailing so it made it even more special. The local wine and mussels were delicious too. I am not usually someone who writes reviews on trip advisor but really had to on this occasion. Highly recommended!" We booked the overnight stay and sailing experience with Phil and it was by far our favourite thing we did during our month-long holiday in New Zealand. My husband has discovered a new hobby and has now even signed up for a skipper's course! Phil picked us up from Te Mahia, saving us an extra 90 minute drive and we explored Keneparu Sound by sail before settling in a cove for the evening. He's a great character and we got along really well. He then prepared a delicious dinner with marinaded mussels for starters, Moroccan chicken for mains and a lovely cheesecake for dessert. I believe that his wife, Deb, had prepared it all prior and it was lovely. We enjoyed a glass of fizz on deck before Phil left us for the night, returning the following morning to sail us home. The bedroom was as you'd expect on a 30ft yacht but it was comfy and lovely to hear the water lapping on the bow. The deck was also a great opportunity for star gazing. Overall we would definitely recommend this experience. It's pricey when compared to overnight in a good hotel but it's a lot more than that. A very special treat which we're glad we did. We booked the overnight stay and sailing experience with Phil and it was by far our favourite thing we did during our month-long holiday in New Zealand. My husband has discovered a new hobby and has now even signed up for a skipper's course! Phil picked us up from Te Mahia, saving us an extra 90 minute drive and we explored Keneparu Sound by sail before settling in a cove for the evening. He's a great character and we got along really well. He then prepared a delicious dinner with marinaded mussels for starters, Moroccan chicken for mains and a lovely cheesecake for dessert. I believe that his wife, Deb, had prepared it all prior and it was lovely. We enjoyed a glass of fizz on deck before Phil left us for the night, returning the following morning to sail us home. The bedroom was as you'd expect on a 30ft yacht but it was comfy and lovely to hear the water lapping on the bow. The deck was also a great opportunity for star gazing. Overall we would definitely recommend this experience. It's pricey when compared to overnight in a good hotel but it's a lot more than that. A very special treat which we're glad we did. We had the pleasure of taking a 3 hour sailing trip with Phil on his boat. The afternoon was really very enjoyable and this is a great way to see the sounds. We were picked up from Te Mahia, which suited us perfectly. The local wine and mussels were delicious. We had never sailed before and had the chance to join in with a bit of the sailing in a very relaxed and easy going way.